This book brings together new essays that explore the connection between love and reasons. The observation that considerations of love carry significant weight in the deliberative process opens up new perspectives in the classic discussion about practical reasons, and gives rise to many interesting questions about the nature of love’s reasons, about their source and legitimacy, about their relation to moral and epistemic reasons, and about the extent to which love is sensitive to reasons. The contributors to this volume orient questions related to love within the broader context of the contemporary discussion on practical reasons, and move forward the conversation about the normative dimensions of love. 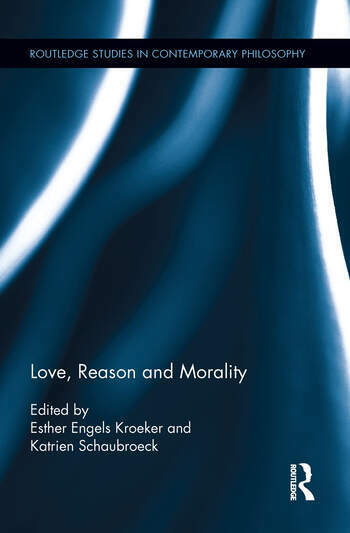 Love, Reason and Morality will be of interest to philosophers working on issues of normativity, meta-ethics and moral psychology, and especially those interested in the source of practical reasons and the role of attachments in practical deliberation. Katrien Schaubroeck is a Lecturer in Philosophy at the University of Antwerp, Belgium. Esther Engels Kroeker is a postdoctoral research fellow at the University of Antwerp, Belgium.